MORE THAN 70 people were rescued off the Almerian coast by the region’s Maritime Rescue service after a boat was wrecked, killing two. Coastguards reached one boat which was sailing more than 30 miles southwest of Cabo de Gata at around 11.50pm on Saturday. Authorities had previously received warnings from an NGO that two boats had sailed from Morocco on Saturday afternoon. 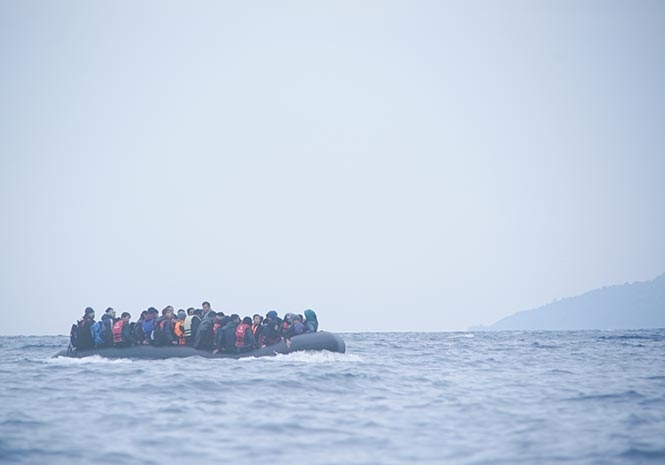 The coastguard boat Guardamar Polimnia rescued 34 people from one of the boats in the Alboran Sea. Another coastguard boat, the Salvamar Spica, arrived to find 33 people who were been rescued by a fishing boat after their boat sank. Some of those from the sunken boat were still in the water. Two died when the boat sank. A further four people were rescued at sea by a coastguard helicopter and taken to Almeria city. The people, migrants from Sub-Saharan Africa, arrived at Almeria’s port in good health, according to reports. No children were reported to have been on board the boats.